For those of us who don’t live in hurricane paths or in earthquake zones, the idea of needing any sort of “emergency kit” for diabetes supplies seems a waste of time. Recent world events have shown us otherwise. In Canada, we have seen the speed with which forest fires have spread through the Okanogan and the devastation they leave behind. On the east coast, we have witnessed the destruction that flooding can cause and have seen many friends evacuated from their homes at a moments notice. 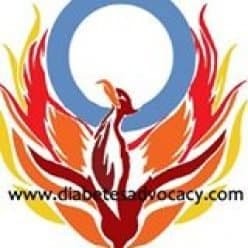 With that in mind, Diabetes Advocacy felt that we should all seriously consider creating our own Emergency Packs no matter where you live–no matter how much you think this will never happen in your area it just might! Put a minimum of two weeks worth of supplies and medications in a Ziploc storage bag or any waterproof storage bag. You can download the checklist for free from our Digital store.